“SPEEDMASTER 135mm F1.4” has appeared from ZHONG YI OPTICS, one of the optics (Chuichi Kogaku). It is a product only for order production. 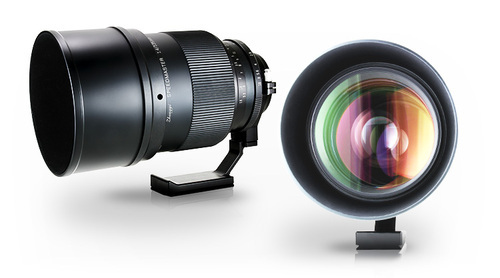 SPEED MASTER 135 mm F1.4 boasts outstanding brightness as 135 mm lens. By adopting ED glass, it combines brightness and sharpness. The aperture ring is a clickless design that is conscious of movie shooting. Please experience the world view only possible with SPEEDMASTER 135mm F1.4. This entry was posted in 3rd Party Lens, Fujifilm GFX, Fujifilm GFX 100S, Fujifilm GFX 50R, Fujifilm GFX 50S and tagged Fuji Rumors, Fujifilm, Fujifilm Rumors, FujifilmRumors, Fujirumors, Mitakon, Mitakon SPEEDMASTER 135 mm f/1.4, Mitakon SPEEDMASTER 135 mm F1.4, SPEEDMASTER 135 mm f/1.4, SPEEDMASTER 135 mm F1.4, ZY Optics, Zyoptic. Bookmark the permalink. Trackbacks are closed, but you can post a comment.